In the BEx Query Designer there are two areas where characteristics can be restricted (filtered). What are differences between them? 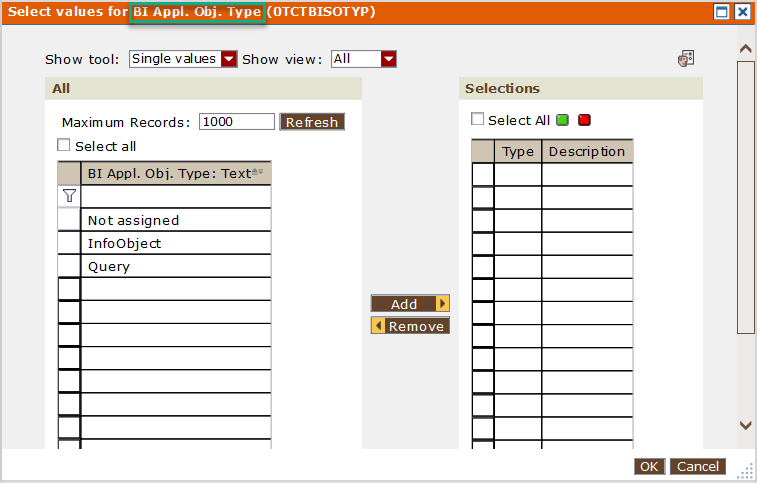 As example this is simple BEx query having characteristics called “BI Appl. Obj. 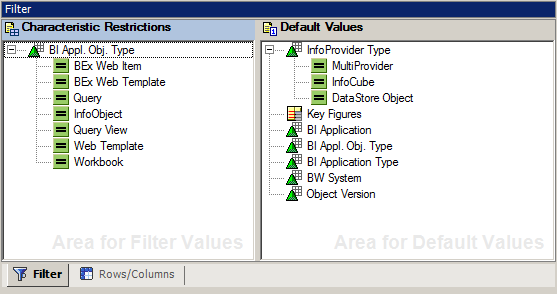 Type” placed at Filter->“Characteristic restriction” area and “InfoProvider Type” at “Default Values” area. 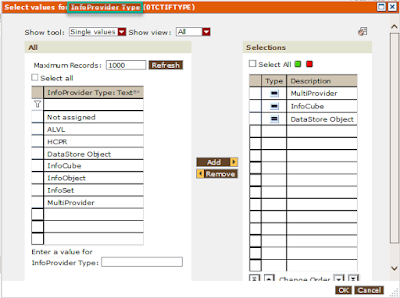 If a characteristic restricted in the “Default Values” area -> users can override the variable value or values at runtime. 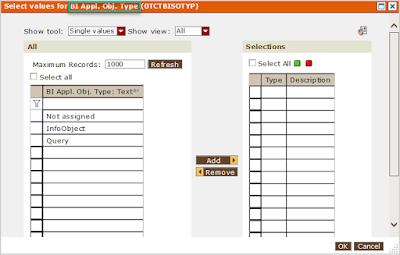 In the query runtime more values can be pulled into the restriction. In case the characteristic restricted in “Characteristic restriction” area -> in the query runtime only values which were placed to the filter during query design time can be further restricted but no new values can be added.